When I think of Palm Springs the first things that come to mind are the sun and the scorching heat. 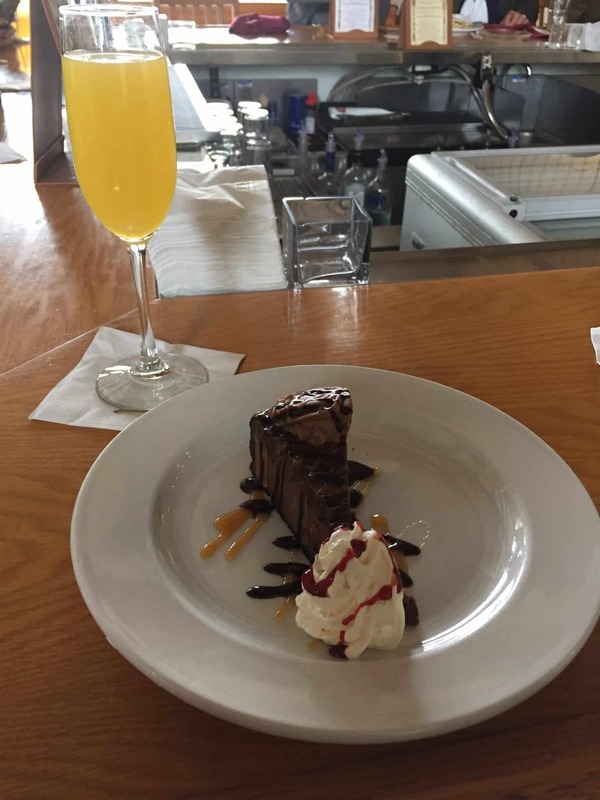 It is the desert after all. I did experience all the heat Palm Springs has to offer the last time I visited in the summer of 2008 – seriously, you will feel like you are melting. It is so hot that you can literally fry an egg on the sidewalk. Luckily I love the heat. 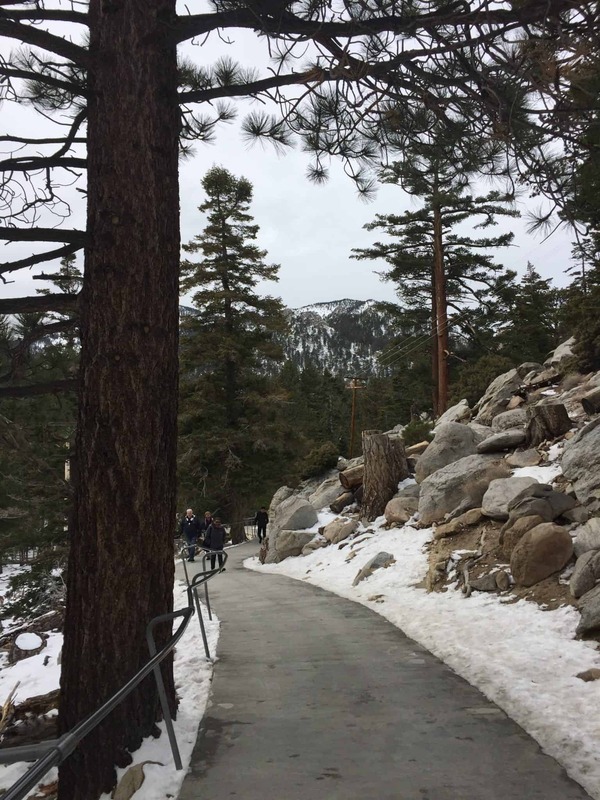 This time travelling to Palm Springs in January, the weather is a lot more comfortable. Just a light sweater is needed, many people are walking around in short sleeves, shorts, and flip flops. 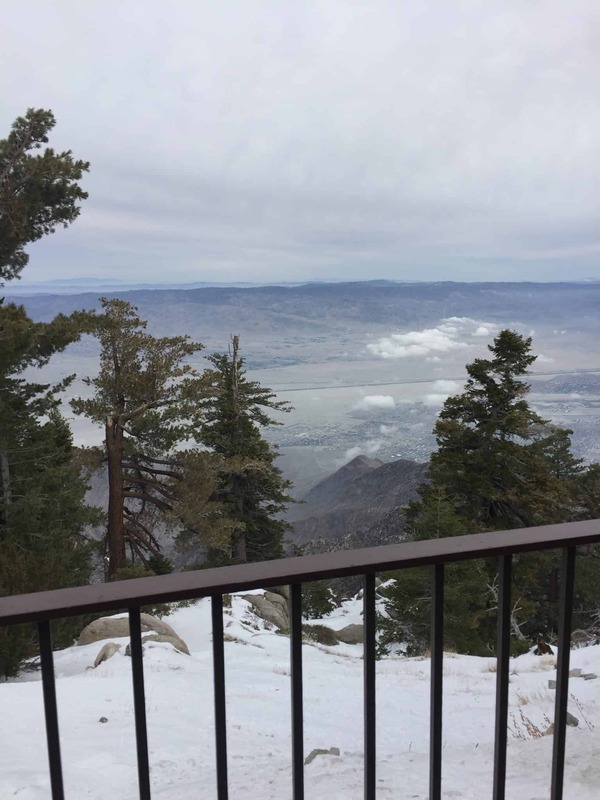 If you are traveling to Palm Springs, riding the Palm Springs Aerial Tramway should be at the top of your list of things to do. It is amazing and something you don’t want to miss. 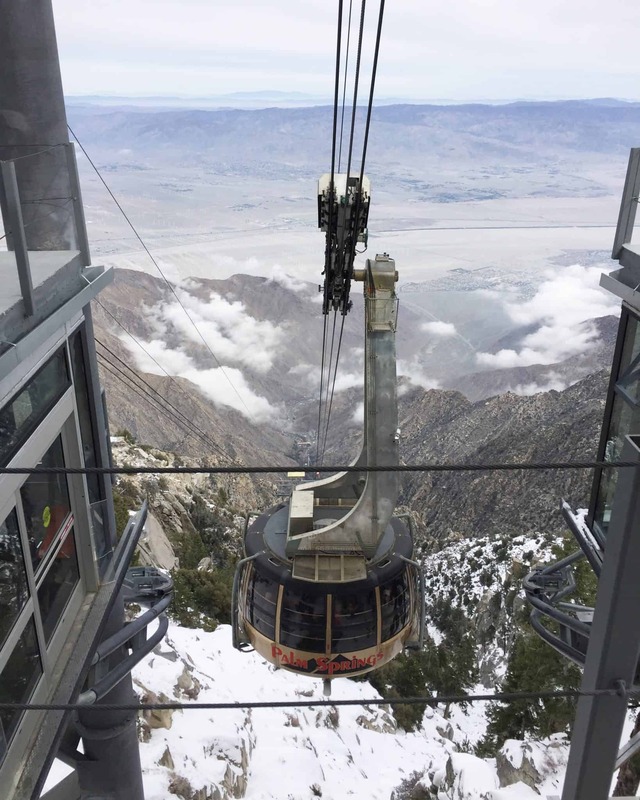 Palm Springs Aerial Tramway ticket prices are currently $25.95 for adults, $16.95 for children ages three to 12, and $23.95 for seniors ages 65 and above. Tickets can be purchased at the Valley Station, but they can also be purchased online in advance. The tramcars depart every ten minutes to every half hour, depending on the number of visitors. On weekdays the first tram up is at 10:00 a.m., on weekends and holidays at 8:00 a.m. The last tram up is at 8:00 p.m. and the last tram down is at 9:45 p.m. When you first step off the tram souvenir photos are offered. There are gift shops in both stations. 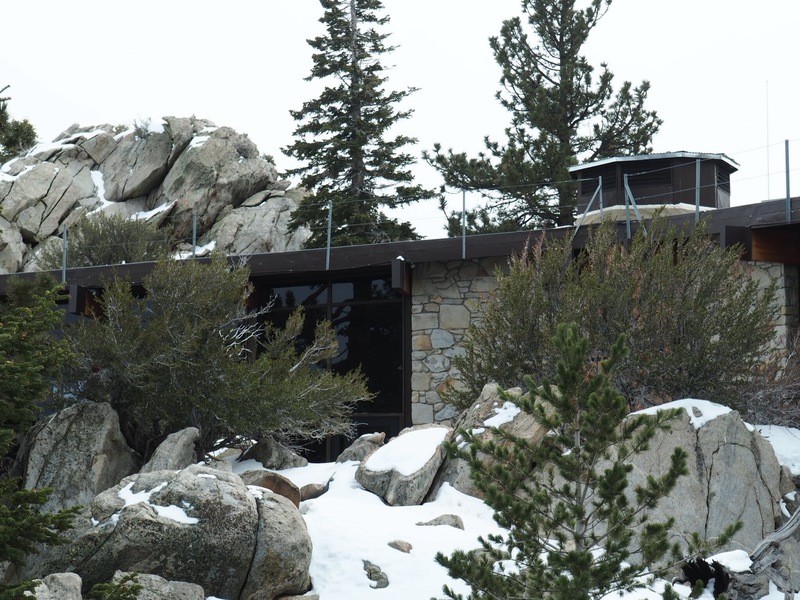 The Mountain Station has two dining options, the Peaks Restaurant and the cafeteria-style Pines Café. 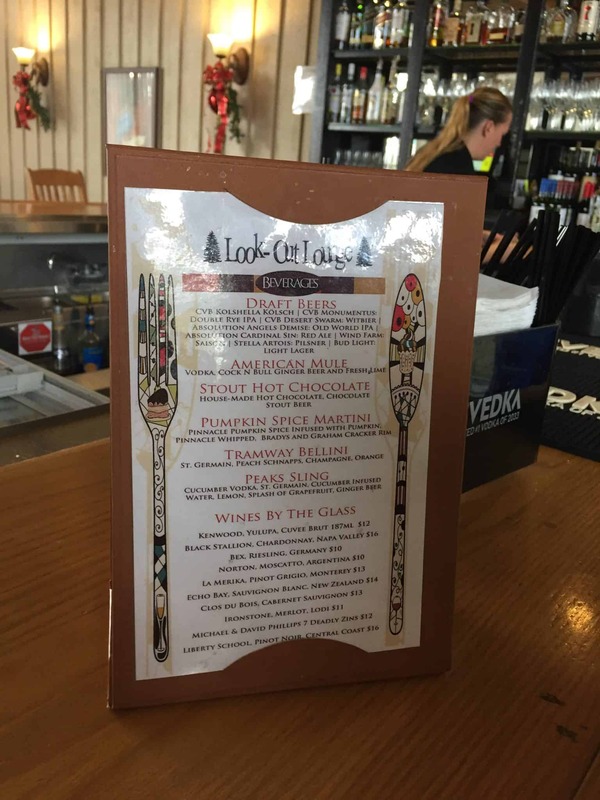 There is also a cocktail bar at The Lookout Lounge. I know, I know……we left Toronto to get away from the cold and snow but really this is not to be missed. 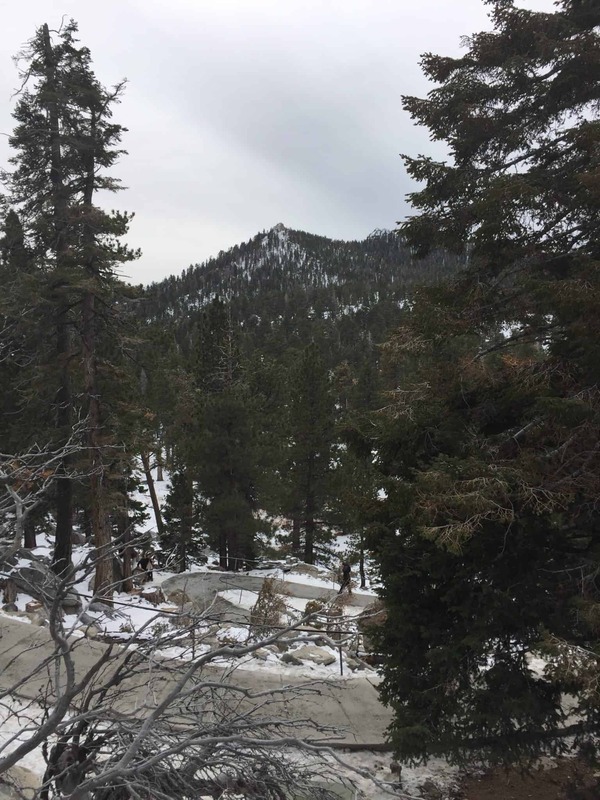 It’s hard to believe that this is a top of a mountain – look at all the trees. 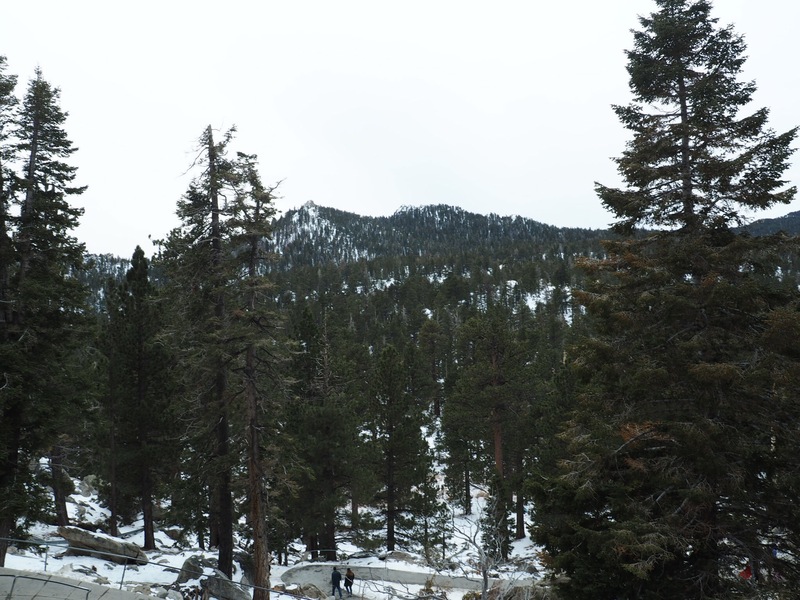 The winter activities offered are cross country skiing, snowshoeing, snow camping. 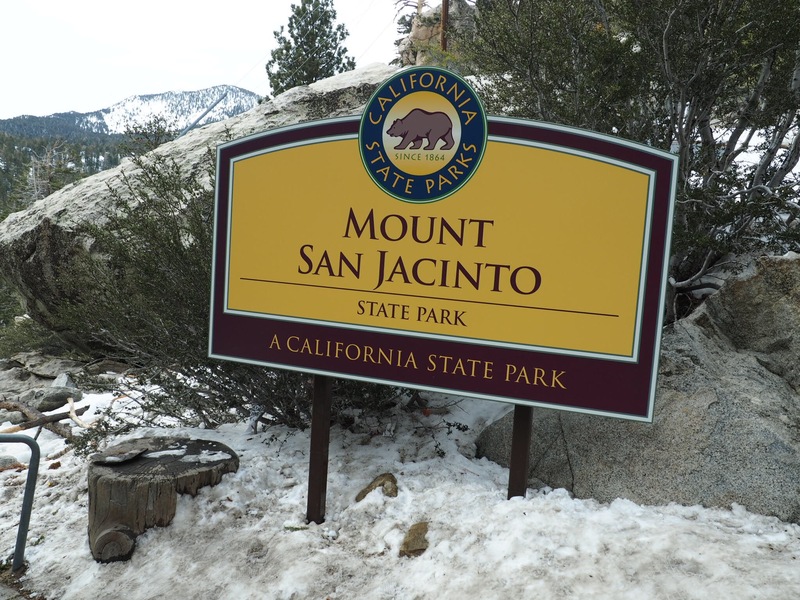 We saw a lot of families with their children with sleds in hand ready for a day of fun in the snow and you can go hiking and camping in the summer. 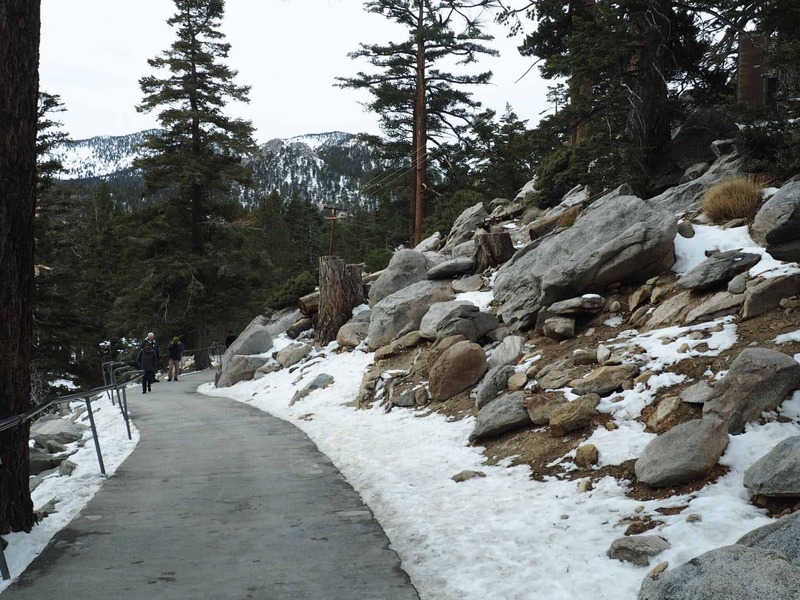 I’m sure locals and tourists come to the top to cool off in the summer and to see the snow in the winter. I’m glad we were able to make it up even with over a one hour wait, it was worth it. The tram ride up was a little scary at first. If you are afraid of heights then this will definitely be challenging. 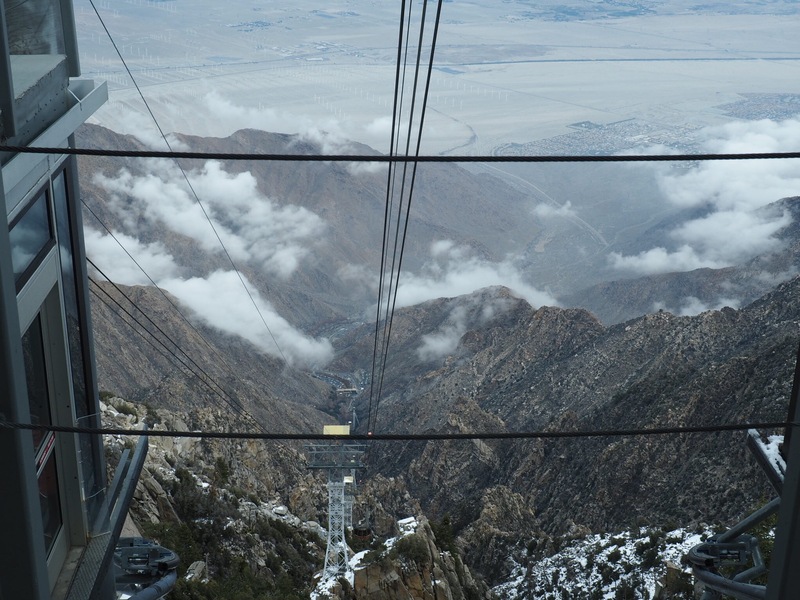 The tram rocks a bit as it reaches each tower…..everyone on the tram gasps. Riding down seemed a lot less scarier for me. 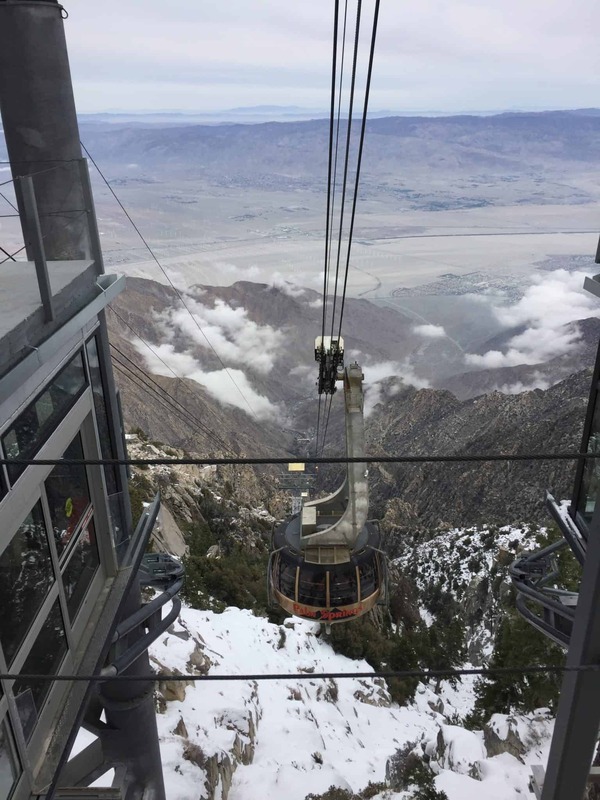 Have you visited Palm Springs and experienced the Tram?